Back in September, Amazon announced a slew of new hardware including Echos, FireTVs, and some other miscellaneous items. Many of these have already become available, but two outliers were still pending: the Alexa-controlled Microwave and the Fire TV Recast. Both are now in stock on Amazon and shipping. The FireTV Recast is a DVR with either 2 tuners and 500GB of storage ($229.99) or 4 tuners and 1TB of storage ($279.99). It requires an HDTV antenna to capture the signal and can record live TV from a variety of channels available to you. You can watch live TV or pre-recorded shows on a TV (with FireTV built-in or an external device), an Echo Show, or your phone. Alexa voice commands are also supported for browsing the channel guide or recording shows, but you'll need to issue them on your phone or an Echo device as the Recast doesn't have a mic on its own. The AmazonBasic Microwave ($59.99) is Amazon's first foray into smart kitchen appliances. As a microwave, it has a 0.7 Cu. Ft capacity, multiple power levels, a timer, childlock, and a turntable. 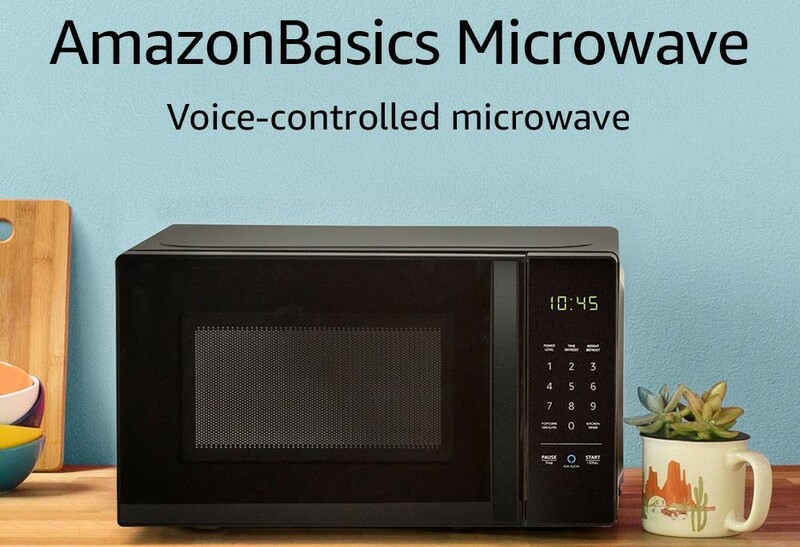 The microwave doesn't have a mic on its own, but can be controlled by any Alexa device (phone, Echos, etc). It also has an Alexa button that wakes up nearby Echos to listen to your voice. Multiple voice commands are supported, including some presets for reheating a cup of coffee, defrosting various food items, and more. But perhaps the most important feature of all is that it can reorder popcorn when you run low. Oh, the simple joys of life! Both devices are in stock on Amazon and can be purchased right now. You can find them at the links below.